Bishop Blasé Cupich has at least one strong tie to Spokane, which will tug him back to the Pacific Northwest, even after he assumes his new role as Chicago's new Archbishop. He's a witness in a court case. Cupich is actually the plaintiff in a case in which he filed suit against his own law firm, Paine Hamblen, alleging malpractice. The firm, longtime attorneys for the Catholic Diocese of Spokane, managed the bankruptcy case for the Church, prompted by tens of millions of dollars in claims alleging sexual abuse. That bankruptcy was a first for the Catholic Church in America, a court action taken when the Spokane Diocese faced over $70 million in claims, with only about $10 million in assets. "We did a very good job," says Jane Brown, the law firm's managing partner. "We were able to bring the Diocese through that whole experience, managing its liabilities, and able to continue to ministry and promote healing." 9/22/2014: NBC 5's Mary Ann Ahern Speaks to Blase Cupich one-on-one as he arrives back in Chicago. As part of the bankruptcy settlement, the Diocese reached a $48 million agreement with claimants, including $1 million set aside for "future victims". But after Cupich's arrival in 2010, after it appeared that set-aside might prove inadequate, the Bishop sued his own lawyers. "It was so toxic," Cupich said, in a deposition taken by Paine Hamblen's attorneys as part of the ongoing case. "So alienating, that people felt alienated from the Diocese, from its law firm, that they weren't talking to each other any more." 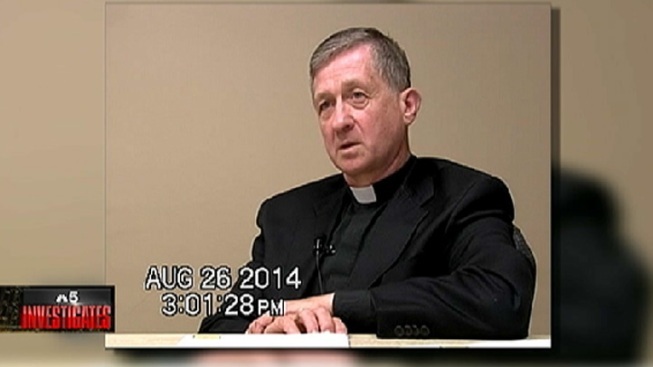 During that four hour deposition, Cupich seemed to indicate that he became convinced that the bankruptcy had been poorly handled, based on input from very nervous priests and parishoners, at a time when at least 20 Church buildings had been put up as collateral. "I was asked to choose parishes already, which ones I would take for sell-off," he said. "The $800,000 that had to be given by Christmas, if it wasn't there, would trigger the foreclosure of parishes." Speaking of the priests, Cupich said, "They never guessed that we would be at a point where they would have to sell off parishes after we put up $10 million." In the lawsuit, he contended Paine Hamblen should not have represented both the Diocese and Skylstad, who had been accused of failing to act in one of the most egregious cases, and that Paine lawyers failed to notify the court of that potential conflict. But the firm points out that in one of those cases, Skylstad was not named individually, and a second one was dismissed on summary judgment. Brown defends Paine Hamblen's work, and said the firm's strategy was sound. "Time has proven that to be pretty much correct," she said. "They have paid out just about a million dollars in claims that have appeared since the bankruptcy was finalized." "The parishes did not have to sell all their Churches, they didn't have to sell their buildings." Whatever the case, Brown says the lawsuit hit her firm without warning. "A complaint showed up in my email," she said. One of the firm's lawyers, Greg Arpin, took the lawsuit especially personally. Both Arpin and his wife Lori were named as defendants in the case. She was so stunned, that last January, she drafted a personal letter to the Pope. "My husband and I are in the process of reevaluating our Catholic faith as a result of unjust actions taken against us," she said. "In taking this vindictive and unjust legal action, Bishop Cupich has ignored all decisions made in the matter by (his predecessor) Bishop Skylstad, his canonical advisors, and the Bankruptcy Court." "We are stunned and hurt to the core by Bishop Cupich's action against us," she said. "Our faith is shaken, especially after the total commitment made by Greg and his law firm to defend the Church, putting themselves in the line of fire, knowing the seriousness of the claims they had to settle." Indeed, Brown notes that for some of the attorneys the case was very personal. "They were never just another client," she said. "We did amazing amounts of work for them. And it was a mission for some of our attorneys who were working on that case." "There were novel questions of law concerning the interaction of canon law and federal law. There were claims. There were insurance carriers to deal with. It was a very complicated affair." 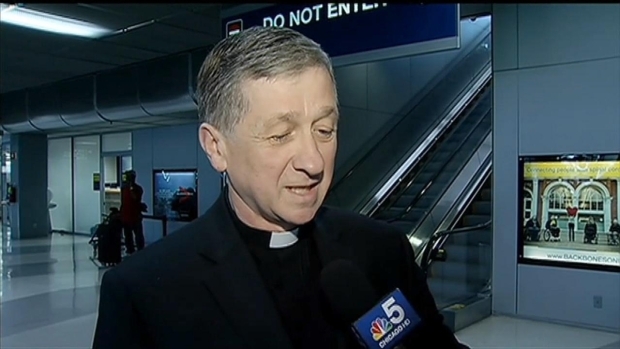 During his meet-and-greet press conference in Chicago, Cupich was hesitant to talk about the case. But back in Spokane, it has sparked deep divisions. "He saw that there was real malpractice, that we should not have ended up where we did with that kind of a threat with future claims hanging over our heads even more, that he had to act even more," said Father Michael Savelesky, Vicar General of the Spokane Diocese. "You cannot find that kind of erroneous legal practices, he would call them, without doing something about them, or at least doing your best." Others indicated they disagreed with the Bishop's actions. "I haven't always agreed with all of the things he has done," said parishioner Maura Dixon, standing outside Spokane's Our Lady of Lourdes Cathedral. "An example being his stance against the attorneys that represented the Diocese in the bankruptcy case. It was a very thorny issue." Lori Arpin, the attorney's wife who wrote the Pope, put it even more bluntly. "This action taken against us, does not seem like Christ," she said. "What would Jesus say about a standing Bishop, who does something like this to his predecessor Bishop? The local priests, whom we have known for years, are shocked as well." In defending the firm's work, Brown insisted the settlement was the fairest accommodation for all parties. "The Diocese had $10 million in assets and was facing $80-plus million in claims. Absent a bankruptcy, the first plaintiffs to trial would get everything, leaving nothing for other victims, and the resulting fights would lead to chaos. Bankruptcy was the fairest thing for all concerned."